I stumbled upon this article written the other day about how to foster reading comprehension in students. And while I agree, in theory, with what the article is saying I can't help thinking that this isn't the only way. There is a whole other school of thought (that I apparently fall into) that believe we shouldn't ask kids a million and one questions to see if they're comprehending what they are reading and to try and increase their reading comprehension. I don't ask them questions. I don't ask them anything else really. I usually don't even ask them why they like(d) the book or what they thought of it. Maybe that makes me a bad teacher, I don't know, but I really don't think so. I do know that they typically start talking all about the story before I have a chance to ask questions. They will either talk to me about it, talk to each other about it, or act it out through their playing. When I started homeschooling my oldest son already hated reading. He was sick of being told what to read, when to read, and how to read. He begged me to let him choose his own books, to let him read in his room, and to let him read in his head and not out loud. I had a hard time with his request since I came from a teaching background. In school we're taught to have kids read out loud with you, stopping them to ask questions, correct their mistakes and check in with them on vocabulary. 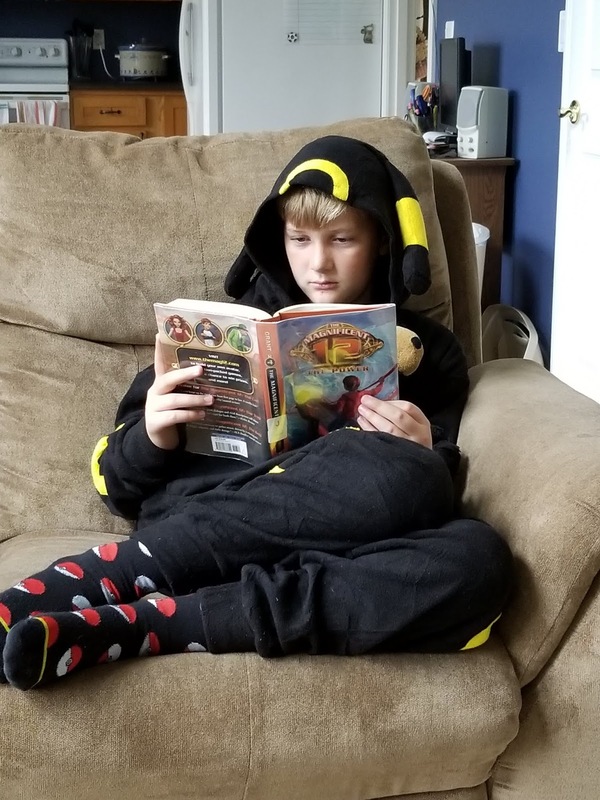 I was worried I wouldn't know if he was actually reading and if he was understanding what he was reading. I worried that he would just pretend to read or else stumble through a book just to tell me he had read it without understanding or remembering anything he had read. I worried for nothing. Within just a few short days I heard him re-telling the story to his brothers over breakfast. He re-told with lots of feeling, emotion, humor and details. He had read it, he had absorbed it, and he had ENJOYED it so much he wanted to share this book that he had fallen in love with, with his brothers. I realized then that when I read I don't want people asking me all sorts of questions about the story. I don't think about metaphors or the author's purpose or anything like that while I am reading. If someone was reading to me and stopped to ask questions or force me to make predictions (especially if they were reading fiction books to me), I would find that distracting and annoying. I read (A LOT!) because I genuinely love to read. I'll read non- fiction texts, self- help books, murder mysteries, romance novels, historical fiction pieces, science fiction novels, fantasy, and just about any other genre that exists. I read because I love it. I may not finish all the books I start and so I don't require my boys to either. I don't answer questions when I'm done and so I don't require my boys to either. And I think that's a GOOD thing. If I had continued teaching my boys reading like they had learned in school I would have killed their love of books. My boys enjoy reading (none of them as much as Alec, but they all enjoy it). They know they have the freedom to chose what they want to read, when they want to read, and how long they read. Sure I'll occasionally tell them to go read for a few minutes if it's been a while since I've noticed them picking up a book. I wait for the boys to come tell me all about what they have been reading (like Alec has been doing with his new Spirit Animal books). They sometimes give such detailed re-tellings my eyes gloss over, but I listen. If I don't understand what they're saying I'll ask questions but only so I can comprehend what they are saying not for the sake of getting more details or checking in on their reading. I know they won't continue plow through a book if they aren't comprehending the story. They will stop and ask questions if they need to so I don't feel the need to stop and ask them. They'll tell me all about the story if they loved it and want to share it with me so I don't ask them detailed questions about what they read. They'll tell me if a book was boring and they hated it. They confess that they only read a few of the pages and then decided they had had enough. They'll ask me to return books to the library and tell me "I didn't read it; I thought it was going to be like (such and such) but it wasn't." I don't pick out their books for them and I don't force them to read books they aren't interested in reading. I know that when my boys were in public school they had entire binders of reading response journal pages, question and answer sheets and all sorts of other comprehension lessons. I worried over the fact that we never worked on any of that. I worried that perhaps something was missing from their learning by ignoring that aspect of reading (and sometimes I still do) but I also know there is good evidence to the contrary. There are whole thoughts of learning that tell us we shouldn't ask questions when reading stories with children. I have heard my boys make connections to books that we've read together that I would have never even thought about and that's kind of the point. 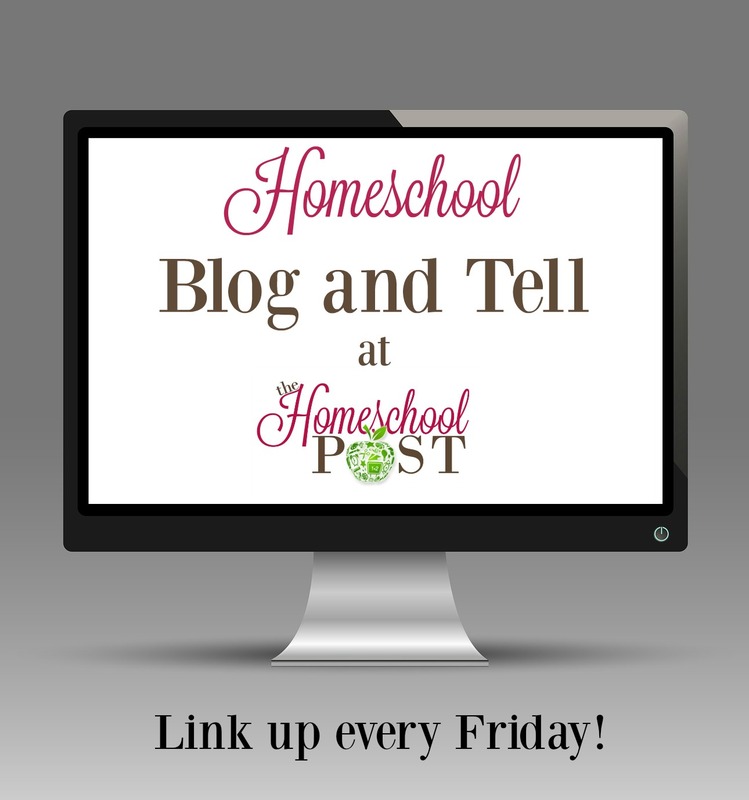 We all make different connections to each story, book, and character so how can I ask my boys a question looking for one or two right answers when everyone's interpretation and absorption of story is different? Have you ever read and re-read a favorite book of yours? I have many books that I have read over and over again throughout my life. Some books I started reading when I was fairly young and still in grammar or high school and I didn't come away with the same understanding of the book when I was older and married, and I sure didn't come away with the same understanding as I got even older and became a mother. I related to different characters each time I read the book based on what was happening in my life and the point I was at in my life. Good books, GREAT books relate and speak to us all, but they speak in different voices at different times to all of us. Who am I to mold what the book is saying to my sons? I let them hear and I listen to them tell me how their books speak to them. So I don't ask; I listen. In listening I've learned more about my boys and their ability to read, comprehend and relate stories to their own lives. I've found that this is more meaningful and pushes them on to read more and try out new books with relish and delight. So I guess I must be doing something right. Oh yes, I do think a book journal is a great idea. I need one just to keep track of the titles I read because I often check books out of the library; get a chapter or two into it and realize I already read it and the cover was just different this time. I get what you're saying. I love reading and hated being made to write essays on the books. I ended up getting the books we read in school myself after graduating and reading them again on my own so I could actually enjoy them. However I'm sure lots of other students were put off by reading with all those questions and essays. 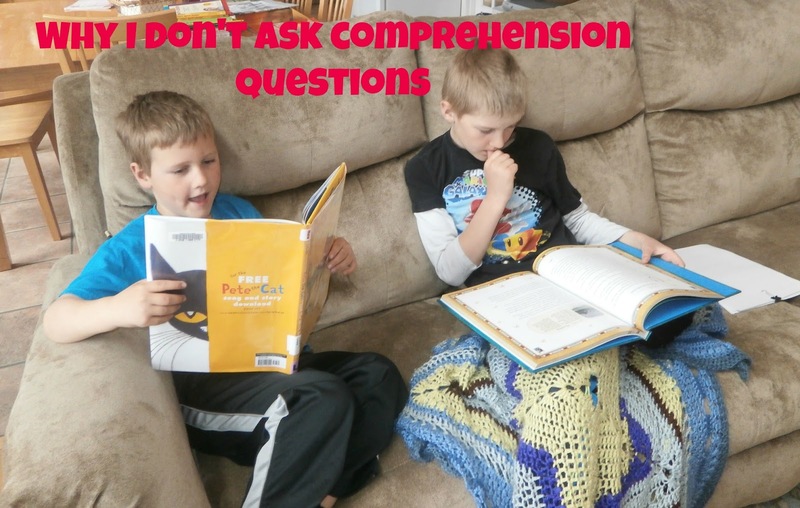 I do think a small amount of comprehension questions is good when they are learning to read but not to excess and not once they are reading on their own. My kids are in public school although I do somethings on my own with them too. My 6 year old was tested at school and was a high level for reading the words but a little lower for comprehension. He was reading big words but not understanding what the story meant. So the teacher said when we read at home to make sure he's understanding. I don't pester him, just ask 1-2 questions per book and only if it seems like something he might not understand. So I can see both sides and I'm somewhere in the middle with my beliefs. I absolutely agree that kids need to understand what they are reading and I do think that the only way classroom teachers can really evaluate that is to ask questions. I am just thankful that (for us anyway) my boys talk so much about what they are reading that I know without asking questions if they are understanding. We always have a chapter book we're reading together as a family and a book on CD that we're listening to in the car and I find that more often than not before I even start reading (or turn on the car) my boys are making predictions, summarizing what happened last time we listened, and comparing the books to others we have read. I found that the more I listened the more they talked and that made asking questions seem silly to me since I would basically be asking them questions that they've already answered for me. Totally agree! My kids both love to read. Sometimes they have no interest in discussing what they read and other times we could talk for hours about what things meant and how it made them feel and how it relates to their lives. I am confident that they can comprehend what they read but some things bring out more joy in them than others and that is totally fine!